Where can you get a sushi platter made entirely out of candy? Or how about a rice crispy treat that could last you a month? Where can you get a pool float in the shape of a hamburger or a Reese's pillow or a giant bottle of Hershey's chocolate syrup? There's one answer to these questions at Broadway at the Beach. If you're on the quest for something sweet and unique, It'Sugar is your one stop shop to grab some sugary necessities and retro novelties! Forget the sugar plums dancing in your head, because you'll learn a whole new meaning of sweet dreams when you're lying on an ice cream or donut pillow. Those sweet dreams will continue throughout the day after you've purchased a giant box of your tasty tart favorites including Nerds, Skittles and Sour Patch Kids. However, a box this big may be hard to sneak into the movie theatre… or so we've heard! Young and not so young candy lovers will recognize one item at It'Sugar: Pez. From Hello Kitty to Captain America to Frozen's Elsa and Star Wars' Darth Vader, there is a Pez (both sweet or sour) for every candy lover! Can't decide what kind of sugar creation is for you? That's no problem because you can design your own goody bag of favorites! From gummy bears, rainbow twisters, rock candy, chocolate covered nuts, and chocolate pretzels, the list goes on and on for how to create your own delight! And don't forget the wall of Jelly Belly jelly beans! Yes, we said wall of jelly beans! It's not all about the treats, It'Sugar has a plethora of knick-knacks, clothing and more to show off your love of sweets wherever you go. T-shirts, tank tops, cola flavored chapsticks, keychains and more sweet souvenirs can all be found for that sugar-lovin' someone or for your own collection. Plus, It'Sugar carries a few special infused goodies reserved for those 21 and over, so please eat your sweets responsibly! Whether you're in the mood for a crunchy candy bar, soft suckers, a dose of chocolate, a fun gift or a sugar survival kit, look no further than It'Sugar at Broadway at the Beach! It's a little bit country, a little bit rock n' roll, a little bit red hot, a little bit of the blues, a little bit new age, a little bit retro and it's always legendary. For years, the tribute artists of Legends in Concert have wowed the crowds of Myrtle Beach and this summer, they are turning up the heat with their new lineup that will have you dancing in your seats and moving to the beats from the world's most iconic stars. 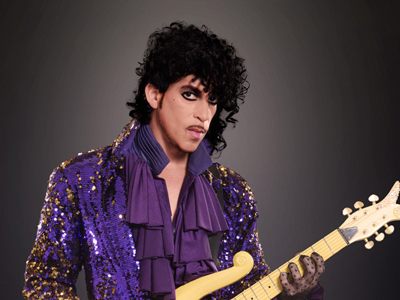 You'll go crazy when Tribute Artist, Frank Moore, hits the stage as Prince. From the high notes to the electric dance moves, you'll be taken back to before 1999 and nothing will compare to your memories listening to the sound of Purple Rain and Little Red Corvette. 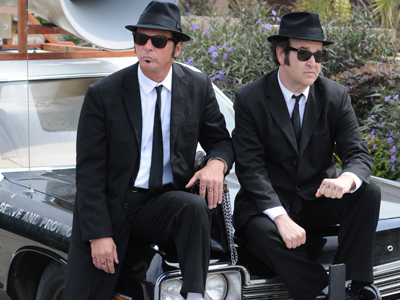 From the smooth moves of Prince to the rhythm and blues of the Blues Brothers, the show takes a soulful turn as tribute artists Dan Meisner & Russ Peterson entertain in their black ties and black shades for the second act. They'll have you shouting as the soul men of music give some lovin' in a legendary performance. Following the duo that can't turn you loose, tribute artist Katie Steele takes center stage and will take you to the edge of glory as Lady Gaga. You'll be enduring a bad romance and the paparazzi as she performs the star's top charting hits. So be sure to bring your poker face and just dance! 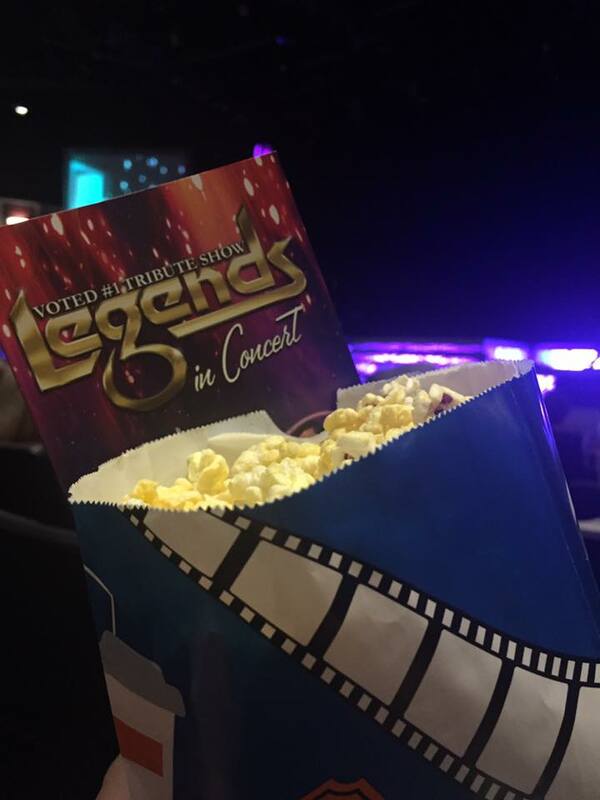 After the applause of Lady Gaga, it's time for intermission making for a perfect time to grab some delicious popcorn and a drink and cruise through the Legends in Concert gift shop! But don't take too long as you don't want to miss the rock n' roll of the second half of the show! 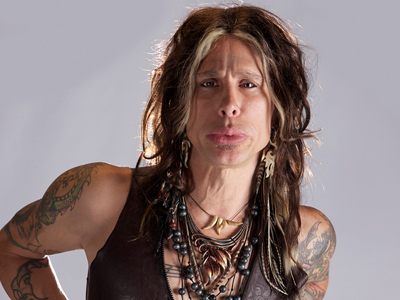 With your popcorn and drink in hand, you'll want to walk this way back to your seat as tribute artist Chris VanDahl will have you enduring some sweet emotions as Steven Tyler. You and the entire audience will come together and dream on to the tunes of Aerosmith's greatest hits. 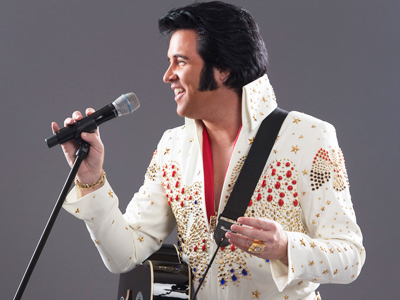 This brings us to the final act of the legendary concert as Elvis tribute artist Travis Powell serenades the crowds with suspicious minds as he does things his way. There's one thing for sure, you can't stop loving the moves and music of the King of Rock n' Roll. From the classics of the King of rock to the new styles from the reigning Queen of pop to everything in between, there is something for everyone in this summer's new lineup. So be sure to make plans for a night to remember, because you'll never forget the legends of Legends in Concert! It's a day to get her out of her routine of cooking, cleaning, calendar checking and corralling little ones. It's the day to shower her with love, affection and appreciation. It's the day to remember and honor the one that loved you first. It's Mother's Day and it's this Sunday, May 14th. Here's a few ideas to show all the moms in your life a day of fun, food and entertainment all in one place at Broadway at the Beach! If she's a low-key mama or grandma, a few sips from our two wineries at Broadway will offer her some sweet serenity. From Boardwalk Winery to Coastal Carolina Winery, she is sure to find that perfect flavor to savor the day that honors her. From drinks to dining, Broadway has several options to wow the matriarch of your family. Get her out of the kitchen and into a quiet booth to enjoy fine dining at Key West Grill or Landry's Seafood or gather your family around her as chefs of Yamato Steakhouse Japan entertain your crowd. From tropical drinks to coastal cuisine, she'll enjoy her favorites prepared specifically for her on Sunday! And don't forget dessert! Whether it's dessert from one of our versatile restaurants or picking up some pralines from River Street Sweets, salt water taffy from Wee R Sweetz or decadent chocolates from Kilwins, it's the day you're supposed to splurge on sweetness for her; so, go big and go delicious! Along with a sit-down supper, a gift to remember the occasion is a necessity on Sunday. Whether you let her pick out her favorite jewelry or you want to surprise her with a keepsake, The Mole Hole is your one stop shop for Pandora Jewelry, exquisite jewelry and home décor. Is your mama or mama-to-be a trend setter? If so, you're sure to find stylish accessories at Bijuju or top brands of eyewear at Sunglass Hut! If entertainment is what she's looking for, a show at Legends in Concert will have her reminiscing with memories from her childhood. If she's adventurous, Broadway also has you covered! From the heights of ziplining at Soar & Explore to the fast fun of our Beach Rider Jet Boat on Lake Broadway, bring your camera and capture the fun as she enjoys the day of carefree fun with her family. At the end of the day, that's what most moms want; just a carefree day of fun with her family where memories are made and love is shared. So whether you spend it with us at Broadway at the Beach or with your own Mother's Day traditional spots, we hope all moms have a wonderful Mother's Day! Gentlemen… and ladies... START YOUR ENGINES! It's the season to roll down the windows, soft tops and sunroofs and turn into Broadway at the Beach to see the classics, the rare rebuilds and your favorite cars! For car club members and owners, as the temperatures rise, so do the opportunities to show off their prized possessions. For car enthusiasts, it's the time to enjoy them all! Before the real summer sizzle begins, vehicles will be lined up on Saturday, May 13th for the Myrtle Beach Car Club Back To Summer Car Show. Beginning at 9am, you'll see cars, trucks and other vehicles all vying for one of the 35 trophies given out at 2pm! If you'd like to cruise your car into the mix, click here to learn how to register. Chevrolet's most coveted car will take center stage at the 22nd Annual Corvettes at Myrtle Beach Car Show, on Saturday, June 3rd. Hundreds of Chevrolet Corvettes from the Myrtle Beach Corvette Club revin' their engines towards Broadway at the Beach. From the yesteryear classics to the newest models, these sport cars will cruise into parking lots near the Big D Theatre as they will also be vying for trophies including, best engine, best exterior, ladies' choice and best in show. For more information on this event and how to register, click here. Spring isn't the only time to show off your cruisers as more car shows are in the works for this coming fall, including the annual Cruisin' the Beach Car Show on the calendar for October 12th – October 14th! But for now, the spring car shows at Broadway will definitely get your motor running!